Chris and Alisa are getting married! These two love birds met us for a stunning sunrise engagement shoot at the International Rose Test Garden. They even brought along their adorable fur babies! The engagement shoot was full of love and endless laughter. Such a perfect Sunday morning. 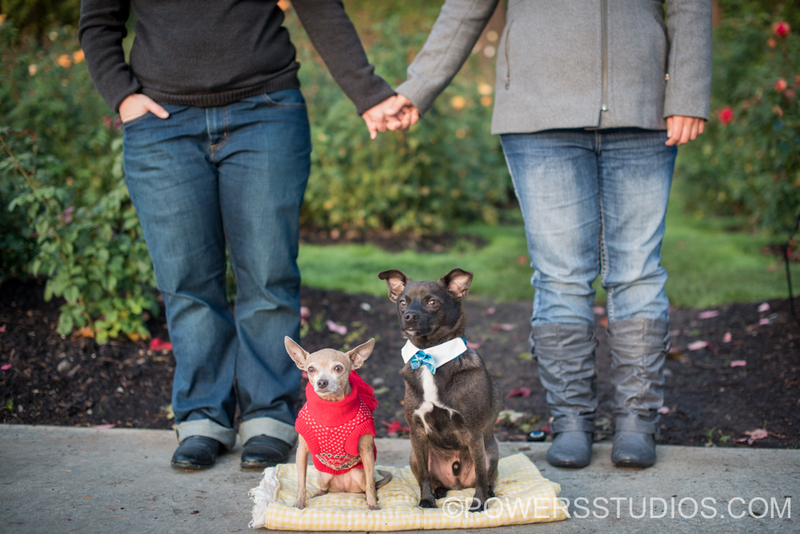 We can not wait for their winter wedding at Mcmenamins Edgefield! !